Here are short notes on how I installed the MidCOM indexer for a client. 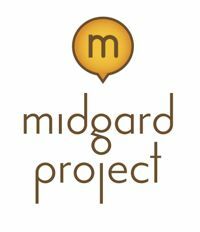 The client has an intranet site running on Midgard 1.6 and MidCOM 2.1.0 on Red Hat Linux 7.3. Note: if you are using a MultiLang-formatted database you need to install the package via Datagard installer instead. Note: the current indexer seems to give a big number of iconv() errors if the site is in latin-1 encoding. Switch to UTF-8 instead or wait until bug 201 is resolved. I needed to also install the mbstring PHP extension for the indexer to work. Once the site has been reindexed, the only thing needed for setting up the search engine is to create a new topic handled by the midcom.helper.search component. After that, just run searches and enjoy! Note: if content is edited outside MidCOM using tools like Aegir, you might want to run the reindexing command from cron periodically to prevent search index corruption. Content edits made in Aegir do not currently update the index.